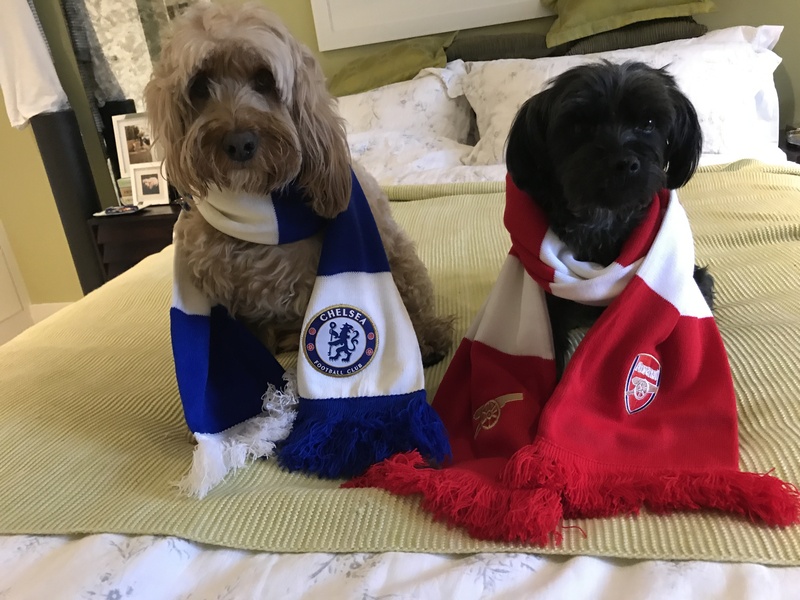 Will it be the Reds or the Blues? We were out and about London today when we were reminded it’s the FA Cup Final. The supporters were out in force. That’s one of the reasons why there were so many police everywhere. 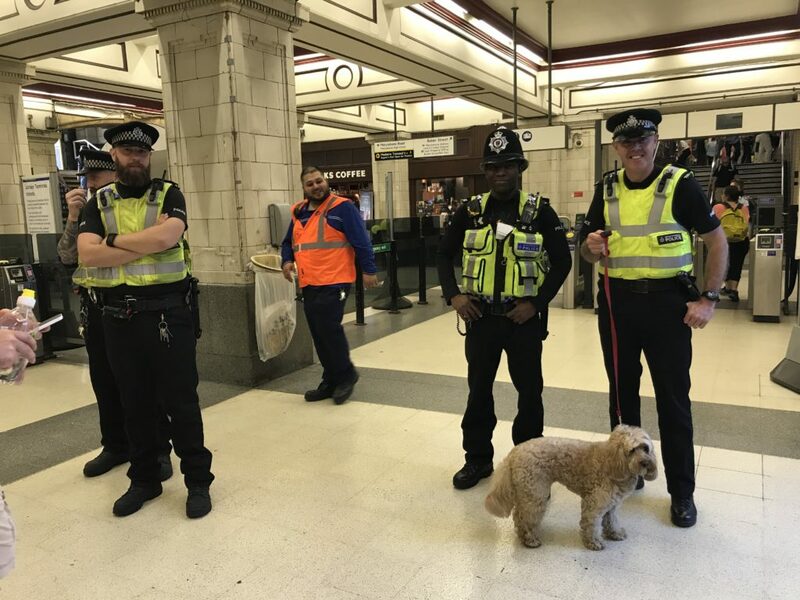 We went to say “thank you” to them for looking after us. 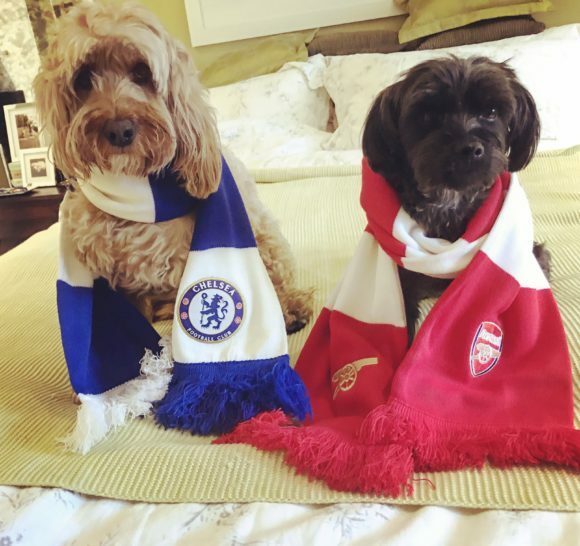 While I was having our photo taken, an Arsenal supporter came and asked if I’m a cockapoo because he has one at home! He took a photo of me and then Mummy disappointed him when she told him I’m a Chelsea supporter. LOL! Well, I guess we should come home to watch the game. “Who do you think will win?” I, Miss Chelsea, asked the question. “Arsenal, of course!” said the Runner Gunner! 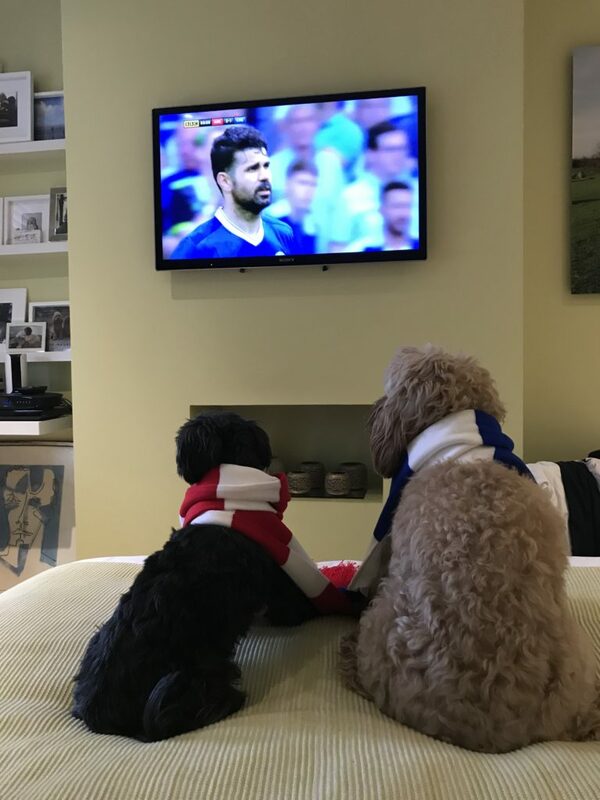 It’s all a bit confusing why I wear a red collar but I support the Blues, and you George wears a blue collar and you support the Gunners. Should we swap teams? Especially since Arsenal is the winner! LOL!